Through her activism and scholarship over many decades, Angela Davis has been deeply involved in movements for social justice around the world. Her work as an educator  both at the university level and in the larger public sphere  has always emphasized the importance of building communities of struggle for economic, racial, and gender justice. Professor Davis teaching career has taken her to San Francisco State University, Mills College, and UC Berkeley. She also has taught at UCLA, Vassar, Syracuse University the Claremont Colleges, and Stanford University. Most recently she spent fifteen years at the University of California Santa Cruz where she is now Distinguished Professor Emerita of History of Consciousness  an interdisciplinary Ph.D program  and of Feminist Studies. 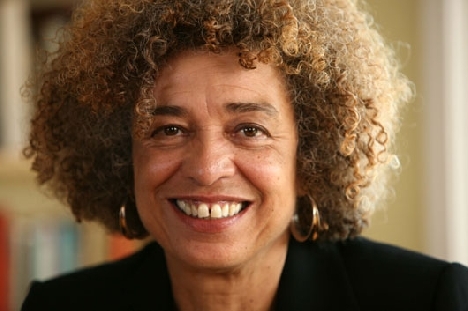 Angela Davis is the author of ten books and has lectured throughout the United States as well as in Europe, Africa, Asia, Australia, and South America. In recent years a persistent theme of her work has been the range of social problems associated with incarceration and the generalized criminalization of those communities that are most affected by poverty and racial discrimination. She draws upon her own experiences in the early seventies as a person who spent eighteen months in jail and on trial, after being placed on the FBIs Ten Most Wanted List. She also has conducted extensive research on numerous issues related to race, gender and imprisonment. Her recent books include Abolition Democracy and Are Prisons Obsolete? about the abolition of the prison industrial complex, a new edition of Narrative of the Life of Frederick Douglass, and a collection of essays entitled The Meaning of Freedom. Her most recent book of essays, called Freedom Is a Constant Struggle: Ferguson, Palestine, and the Foundations of a Movement, was published in February 2016. Like many educators, Professor Davis is especially concerned with the general tendency to devote more resources and attention to the prison system than to educational institutions. Having helped to popularize the notion of a prison industrial complex, she now urges her audiences to think seriously about the future possibility of a world without prisons and to help forge a 21st century abolitionist movement. Leigh Raiford Associate Professor and H. Michael and Jeanne Williams Chair of African American Studies at the University of California at Berkeley, where she also serves as affiliate faculty in the Program in American Studies, and the Department of Gender and Womens Studies. She is the recipient of fellowships and awards from the American Council of Learned Societies, the Ford Foundation, the Mellon Foundation, the Woodrow Wilson foundation, and the Hellman Family Foundation and has also been a Fulbright Senior Specialist. Raiford is the author of Imprisoned in a Luminous Glare: Photography and the African American Freedom Struggle (University of North Carolina Press, 2011), which was a finalist for the Berkshire Conference of Women Historians Best Book Prize. She is co-editor with Heike Raphael-Hernandez of Migrating the Black Body: Visual Culture and the African Diaspora (University of Washington Press, 2017) and with Renee Romano of The Civil Rights Movement in American Memory (University of Georgia Press, 2006). Ra Malika Imhotep is a black feminist writer/root worker from Atlanta, GA currently pursuing a doctoral degree in African American and African Diaspora Studies and a Designated Emphasis in New Media at the University of California, Berkeley. Her thinking engages black femme performance aesthetics and cultural production throughout the Black African Diaspora. Her creative praxis is invested in a textual and performative enjoyment of undisciplined movement, the historical present, black obscenities, black spiritual practices and other blackityblk happenings. She is a member of The Black Aesthetic art collective, co-convener of experiential study group 'The Church of Black Feminist Thought' and the proud daughter of Diane Makeda Johnson and Akbar Imhotep. As a reminder, seat reservations to this free public lecture event will be made available 10 days before the event on April 6 at 10am. Reservations will be made available on this Eventbrite page: https://www.eventbrite.com/e/abolition-feminisms-with-angela-davis-tickets-42259132202. You are only permitted to reserve one seat at a time (one name per reservation). If you are able to secure a seat reservation, please be aware that if you are not seated in the theater by 6:30pm, we will be opening up the theater to people waiting at the door. We will not be holding seats and will not allow anyone in the theater to save seats for late attendees. At 6:30pm, A+D staff will fill any remaining seats in the theater on a first come, first serve basis with people who have opted to stand in line at the door. Please know that if you choose to stand in line at the door without a reservation, we cannot promise that any seats will become available. If you are unable to attend the event, you can find a list of venues hosting livestream events as well as the livestream link at artsdesign.berkeley.edu/mondays. This event will be available via livestream. The link will be made available on the Berkeley Arts + Design website, Facebook page @berkeleyartsdesign and Twitter @brklyartsdesign. Please send questions to info.artsdesign@berkeley.edu.